Love in Focus Vol. 1 Review – AiPT! Out of all the new series Kodansha Comics has recently published, Love in Focus stands out as the cutest. The manga is by That Wolf-Boy is Mine! creator Yoko Nogiri, and its first volume collects chapters 1-4. 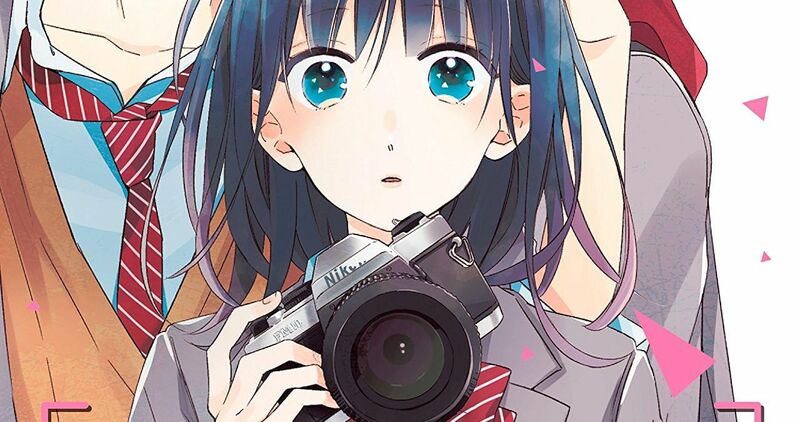 Here we are introduced to Mako, a first-year high school student who moves into a boarding house occupied mostly by peers who share the same passion as her: photography. Her housemates include Kei, a childhood friend who may see her as more than such, and Amemura, a detached young man who hates having his picture taken. Of course, there’s no one else Mako would rather photograph. Does this series make a good first impression? Short though this volume is, Nogiri does a good job establishing the series’ core characters. Mako’s beginning a new chapter in her life, and we get a great sense of what shaped her past and why she’s making such drastic changes. Her love for photography is interconnected with her love for her recently deceased grandfather, and Nogiri handles this subject matter gracefully. Amemura, meanwhile, is more of a mysterious figure. There’s a definite sense that who he is now is a dampened, more cautious version of his old self. There’s a lot of depth to him even though his past isn’t dived into deeply and we never get any narration straight from him. His subtle facial expressions and changes in mannerisms depending on context successfully convey a once passionate person going through the painful motions of everyday life. This volume’s successful character work owes a lot to the pacing and dialogue. Nogiri takes things fairly slowly, albeit not so slowly that it feels like nothing happens. We get to see Mako acclimate herself to her new surroundings, meeting more and more peers and discovering new secrets as time goes on. There aren’t any heavy exposition dumps; what bits of backstory we do get are woven in smoothly and never throw too much information at the reader at once. This skillful delivery of just what’s needed extends to almost all aspects of the volume. No scene goes on too long or feels unneeded; rather, we get to learn more about the setting and characters as Mako does. She’s an effective and likable audience surrogate in that sense. Love in Focus also succeeds artistically. Nogiri delivers many classic hallmarks of shojo, and she does so well. The characters are all expressive, with wide eyes and pretty, flowing hair. Then there’s the shading, which makes great use of stippling and crosshatching. The pages look nice and clean throughout, and Nogiri does a good job balancing light and dark tones to keep things pleasing to look at, alternating between airy and grounded imagery. I don’t have many complaints about this volume. One could argue that Kei doesn’t get enough page-time and development, but in a way this works. He’s relatively distant from Mako here, always walking in on her and Amemura’s awkward moments but never driving the plot himself. With that said, he comes off rather flatly as a result. There’s a cliffhanger involving him and the end of the book which could have packed more punch had readers actually gotten to know him beforehand. Love in Focus Vol. 1 is a sweet debut that successfully generates interest for future installments. We get great introductions to Mako and Amemura, and the effective pacing throughout lets us discover the manga’s world simultaneously with Mako. The artwork is also lovely, with classic shojo tropes utilized very pleasingly. Kei falls a bit flat as a character thus far, but it still feels like he’ll have an important role to fulfill in the future. All in all, I would definitely recommend this volume. Love in Focus Vol. 1 is a sweet debut that successfully generates interest for future installments. We get great introductions to Mako and Amemura, and the effective pacing throughout lets us discover the manga's world simultaneously with Mako.